While many students make their way up from Southern California for the start of the spring semester, freshman diver Connor Callahan and Cal Diving head coach Derek Starks traveled to L.A. for the annual Bruin Diving Invitational this weekend. Callahan, however, is used to travelling. He moved across the country from Cary, North Carolina, this fall to join the team. As the only diver to represent the Bears this weekend, Callahan did not disappoint the Cal program. Competing in the 1-meter, 3-meter and platform, Callahan’s rankings continuously improved as the meet progressed. In the 1-meter championship, Callahan recorded a score of 541.10 and sealed his fifth-place finish in the event. He logged a fourth-place score of 305.45 in the 3-meter championships and a second-place finish in the platform with a score of 312.80. “He had a little bit of first day jitters, but after each event we had our talk and preparations for the next event and then he just really turned it around and stepped up to do his best,” Starks said. In fact, Callahan recorded personal bests in the finals of both the 3-meter and the platform, already qualifying him for the NCAA Championships in the platforms. His finishes mark a prominent improvement in Cal diving from the meet last year where both now-graduated Peter Cyr and now-junior Finn Scribbick failed to score. While no Cal divers successfully placed at last year’s NCAA Championships, the arrival of Callahan could be a symbol of hope and just what the Bears need to push their second-place finish at the championships to first place. 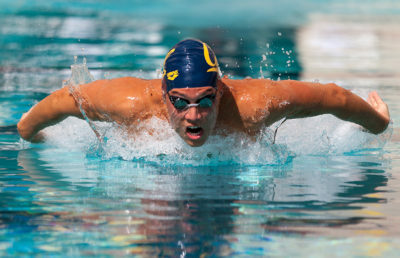 Also taking place this weekend was the California Invitational, which Cal has been hosting for over 15 years. It is an all-comers meet where anyone over the age of 12 is eligible to swim as long as they meet the time standard for at least one of the events in which they compete. 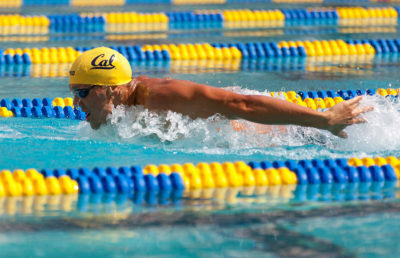 Rather than an intercollegiate competition, very few Cal swimmers competed in the meet and none performed in the event finals. 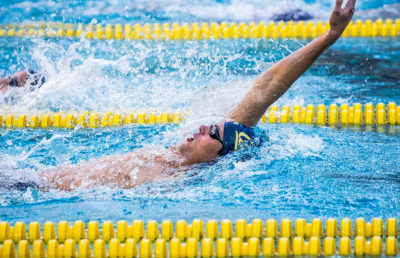 The meet format mainly allows high school swimmers to gain experience competing in a college setting before making the decision to join varsity athletics. Next week, the team will have its first real opportunity to compete this semester as it flies to Arizona to face off against both Arizona and Arizona State. The Bears will be attempting to hold on to defend the first-place rank that many of Cal’s newcomers worked hard to obtain at the end of the fall season.